Many gun cases offer exterior locking bars, combination locks, and spring loaded receiver locking systems. Secure Firearm Products has researched, developed, and tested a locking system that is totally internal, very strong and has a locking push button one-key entry. The heavy duty internal steel locking bar runs the length of the case with multiple steel pins making it saw and crow bar resistant. 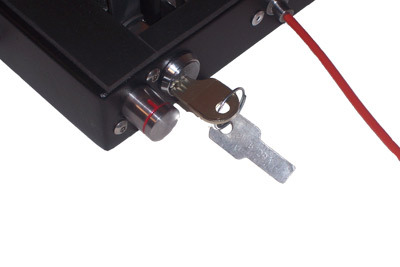 Secure Firearm products uses Medeco High Security Locks as part of this exclusive locking system.